Although studying in the same place every day can be useful to achieve a routine, it can also get quite monotonous. I’m a big believer in trying to make studying, whether that be revising or writing an essay, as enjoyable of an experience as possible and mixing up your environment can be a step in the right direction. You may know Ziferblat on Edge Street, but now there is a new one, right next to our very own MediaCityUK campus (lucky you)! What is great about Ziferblat is that you can get to it completely free on the 50 bus using your Salford Student ID Card. What is even better is that you pay for the time that you spend there, rather than the conventional way you might use a coffee shop. 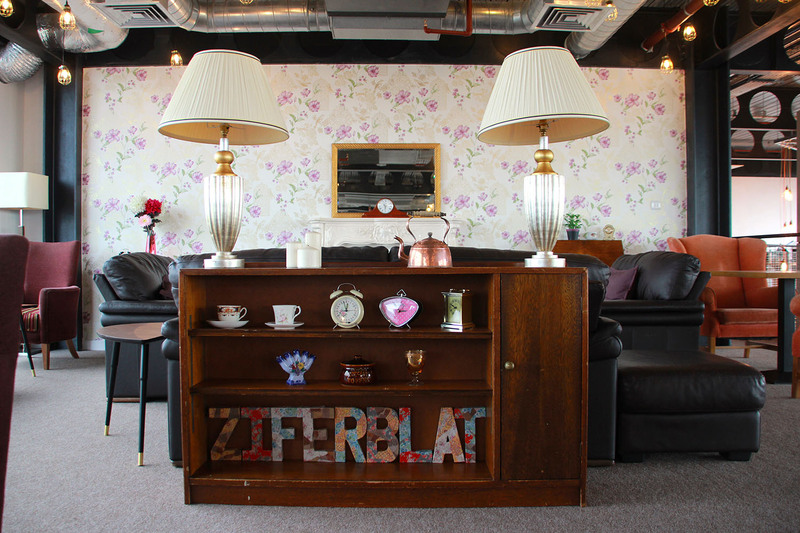 Ziferblat is a productive environment where it is easy to feel at home with the sofas, record player, books, free Wi-Fi, coffee, tea, cakes and even soups and cereals. They also cater for vegan and gluten free diets, with everything clearly labelled too. They charge 8p a minute, and you are capped at 4 hours – meaning you can stay the whole day for a reasonable price if you really settle in. They offer 25% off for students too! Open till 8pm on weekdays, or if you are a bit more of a late-worker find the other branch in Northern Quarter, open until 10pm, Monday to Sunday. How about another study space next to Salford’s MediaCityUK campus? Free to get to on the 50 bus and right in the centre of the buzz of the Dock 10 Studios. A bright and well-lit space with plenty of space to sit, salad boxes, shakes, soups, and locally sourced ice cream (with flavours such as double chocolate brownie and banoffee, how could you resist?) And did I mention their coffee is like magic in a cup? Penelope’s gives a big nod to NYC and service with a smile to accompany that workload. Salford’s very own Clifford Whitworth Library underwent a £6.2m investment in its second phase of development and re-opened its ground floor doors again at the beginning of January. I would highly recommend utilising it during your time here and allowing it to become a regular place to get some serious work done. There are several types of study places available at the library and resources tailored to the needs of Salford students. From individual study rooms (book a space online), a quiet floor, computer suites, loanable laptops, colour printing, and 100’s of charging ports, you are sure to find something that suits your style. Clifford Whitworth is open 24 hours so whenever you want to work, it is there for you. 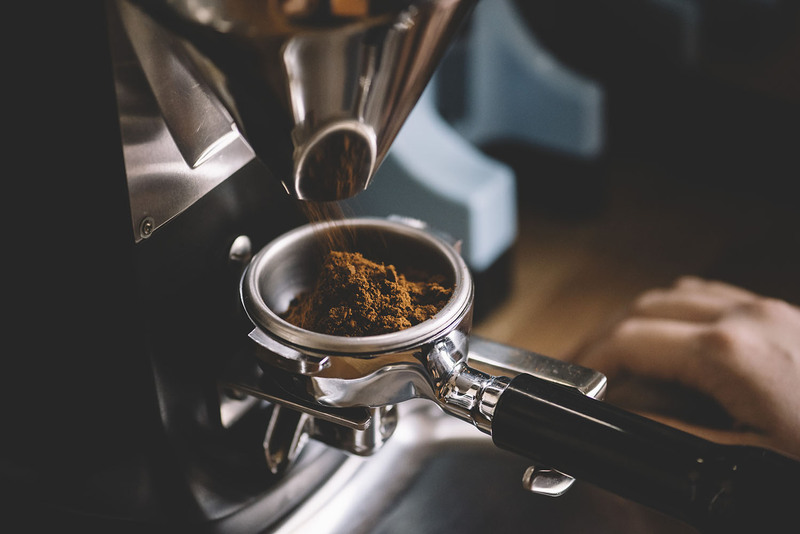 If you are a fan of your coffee, or just some eye-pleasing interior design, Foundation Coffee is the perfect place to catch up on some work. 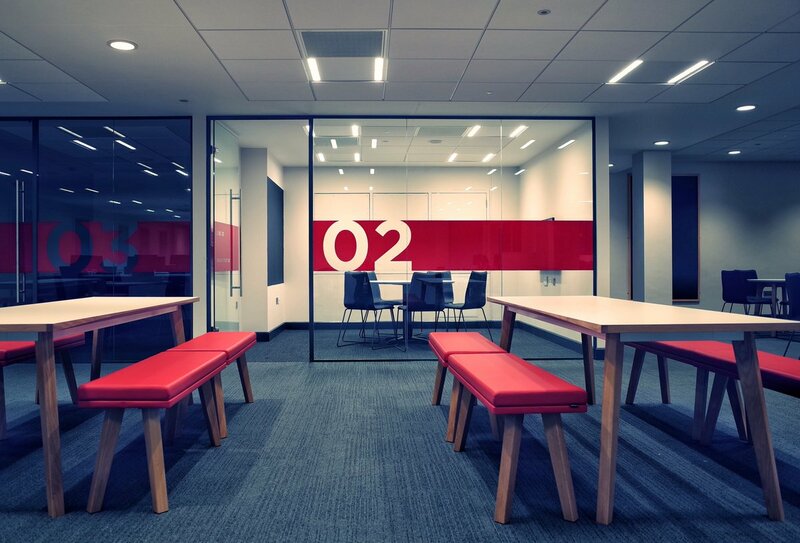 Surrounded by clients at meetings or friends having a catch up, it is certainly a fitting environment for some productivity. 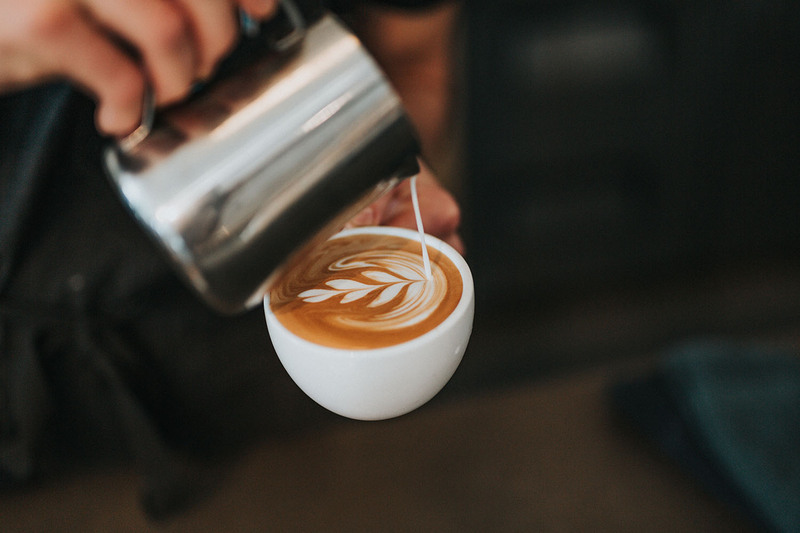 Serving healthy food, juices, and some of the best coffee in the city, you won’t be short of anything to make that work a little easier (just don’t get too distracted Instagramming your flat white). 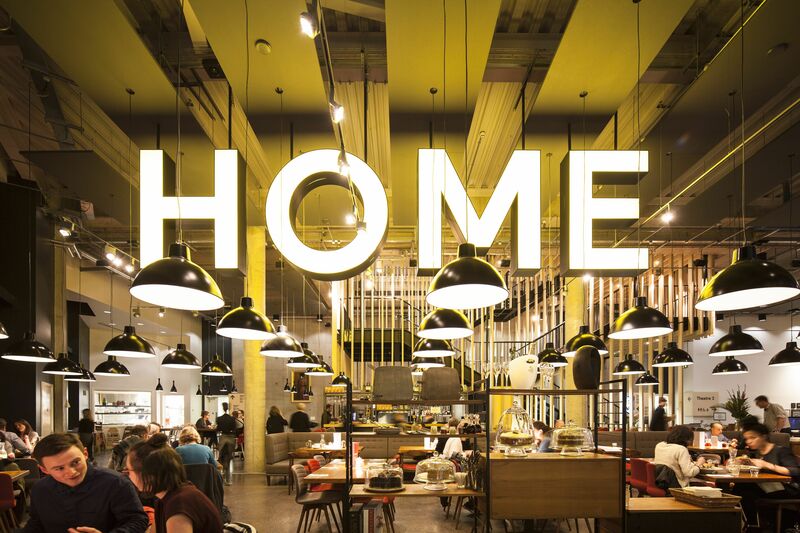 HOME is Manchester’s beating heart for international contemporary theatre, art, and film. At the very least, it is a modern-come-traditional artistic haven and sure to spark those creative flames. 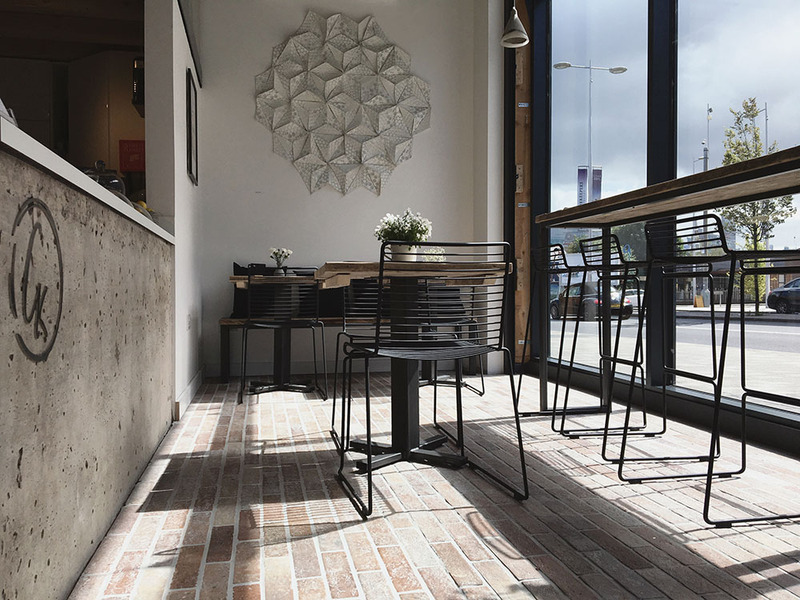 The Ground Floor Bar attracts those attending workshops or exhibitions, but also perfect for some afternoon focusing, and in the summer it even opens up into an outdoor seating area. The food is as good as its theatre productions (and that means, well, amazing) but be sure to check on their website before you go for some lunch time deals to cut the cost. Ever fancy somewhere quiet to retreat to just off campus? Then the GK Gallery & Tea Room is the perfect place. Find it on Chapel Street, and just a short walk off campus to get away for a quiet chat or to catch up on some emails while you watch the world go by outside. Relaxing music, an assortment of cakes (vegan ones too! ), and even grab yourself a peppermint tea. If you happen to check out any of these places, make sure to comment below and let us know what you think!